For a period of time, every item of clothing Kate Middleton wore would sell out in minutes, leading to the boom (and, sometimes, subsequent bust) of fashion businesses. And now it’s Meghan Markle‘s turn, as online retailer Net-a-Porter has revealed that sales for Givenchy and Stella McCartney skyrocketed after the royal wedding on May 19. Following much pre-wedding speculation, the creator of Meghan’s wedding dress was revealed as Clare Waight Keller of Givenchy. The minimalist gown featured a boat neck and three-quarter-length sleeves, and was made from double-bonded silk cady matched with a triple-silk organza skirt. Meghan’s elegant second wedding dress, which was revealed as she and Prince Harry headed to their evening reception, was designed by Stella McCartney. The white, silk-crepe halter-neck gown was arguably more popular among viewers, especially for being a little more racy. Meghan Markle's second wedding dress: Photos! And now, Yoox Net-a-Porter Group has reported that Givenchy’s full-price sales increased tenfold in the three days after the wedding in comparison with the three days prior. Stella McCartney’s sales also increased tenfold on the day after the wedding compared with the day before. 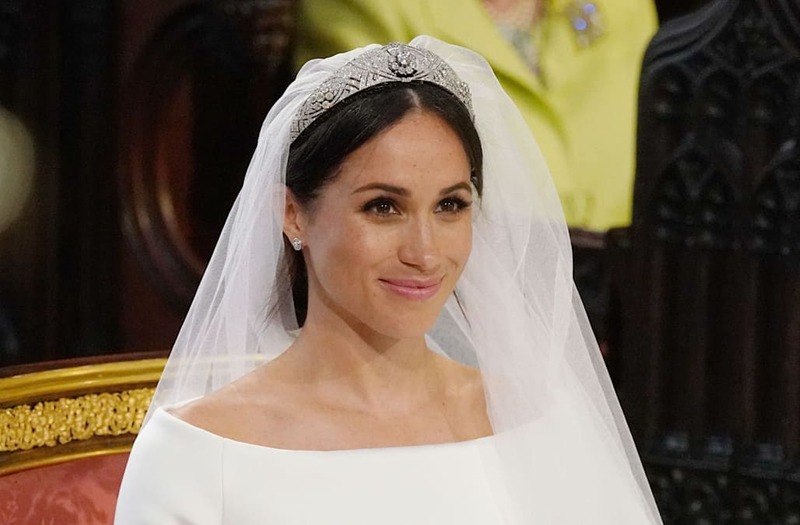 Fans were clearly won over by Meghan’s second wedding dress, as three of the most popular Stella McCartney dresses since the wedding have been evening gowns — two of them white. Because let’s face it: Any bride-to-be would do just about anything to look like Meghan coming down those steps with Prince Harry. See all of the best photos from the royal wedding below!